When your air conditioner is on the blink, you want to make certain that you will be receiving guaranteed and exceptional service whenever you call for a repairman to come and assess your problem. Reputable and reliable repairmen are trained to make customers their first priority. They have gone through extensive drug testing and background checks before they are permitted to enter your home. These professional technicians also go through extensive training in order to be able to deliver exceptional service on your unit so that you can have the peace of mind in knowing that your property will be treated with the respect that it deserves. When they do arrive at your home, they will wear shoe covers and use drop cloths wherever they may be needed. If you live in the state of Texas, you will not experience any difficulty in obtaining professional service from technicians who are familiar with performing AC maintenance Houston Heights, TX. Most air conditioning repairmen are also trained to call the customer before they arrive at your home. You will also discover that they will provide you with honest and upfront estimates. This way there are no hidden fees when it comes time for you to pay the bill. Because HVAC system problems will occur without any warning, most repair companies will operate on a 24/7 basis. This way they will be able to provide you with reliable heating and cooling services at a time that is convenient for them to come to your residence. Calling a repairman is a good idea even if you are thinking about upgrading your current system. They will be able to provide you with an in-home evaluation of your current unit and give you valuable advice on what system would best fit the square footage of your home and your budget. If you have decided to replace your existing unit with a new one, most companies will offer their customers free estimates and system analysis along with manufacturer rebates and discounts. It is important that you purchase a service level agreement when you buy your new air conditioner. In doing so, you will be able to save money on the cost of any repairs you may incur in the subsequent years. You will also discover that there are warranties on some of the parts and labor and most companies will be able to do next day installation. And you will be able to have desirable financing options with approved credit. You may also be able to receive a one year Home Service Plan so that you can have added protection for your unit. These technicians are completely dedicated to the needs of you and your family. And they can also provide you with any necessary accessories that you may need in order to improve the indoor air quality inside the home or business. Whether your unit is old or new, no homeowner should forget to perform preventative maintenance on their air conditioner. This type of maintenance will help to keep your unit running at peak performance as well as extend the life of your air conditioner. And when you are astute in doing this, you will also discover that you will have improved heating and cooling system performance. Overall, you will gain improved system safety and will have prevented costly breakdowns. 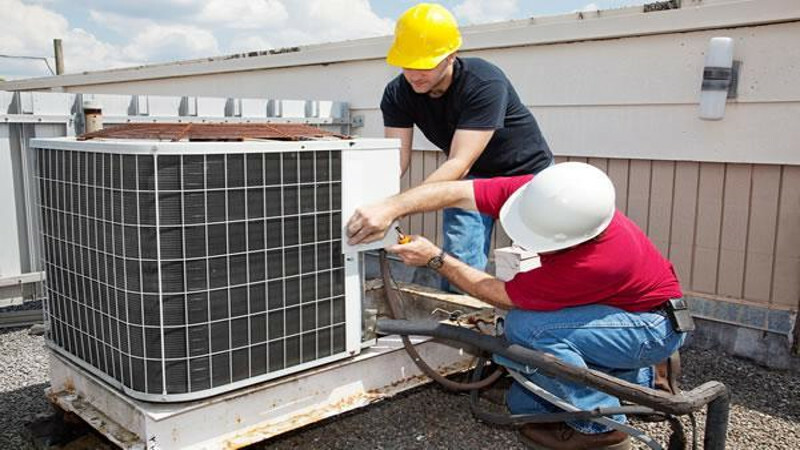 Therefore, if you know that you are in need of air conditioner repair or replacement—now is the time for you to obtain the peace of mind you deserve and call a reputable repairman somewhere in the city of Houston.